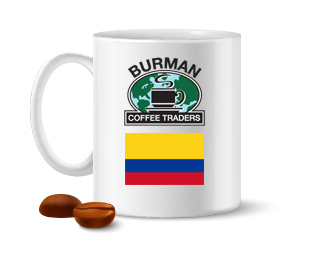 A very exotic Colombian offering. This is a slow dried natural, meaning plenty of ferment and fruity tones in the cup profile. Uneven roasting and high chaff, beans like these are changing the coffee game and you will either love or hate them. For a natural fan, this lot is terrific and a perfect example of the processing. Nilson Luis López Dias, who owns and manages San Antonio, is at the center of the Buesaco success. In addition to managing his own farm with 25 acres cultivated with coffee, Nelson and his wife Cielo have been helping an export company called Inconexus sources coffee from producers in Buesaco who are now selling coffee in the COE auction. The partnership has helped producers gain access to technical support for best agricultural practices, improve quality, increase earnings from coffee sales, and strengthen the family’s livelihood. San Antonio, located in the community of Medina Espejo in the municipality of Buesaco within the department of Nariño, Colombia. Two volcanos (Doña Juana in the north and Galeras in the south) are responsible for many of the rich mineral traits found in the soil composition. Nariño’s proximity to the equator also means intense exposure to the sun (relatively constant and powerful year-round), which influences the cherry maturation rate. The municipality of Buesaco, which has an interesting micro-climate caused by warm air that rises from the canyons at night and acts like a protective blanket for the coffee plants. As a result of these combined attributes, coffee plants passively absorb the sun’s energy during the day and then come alive at night when the conditions are less harsh. This translates into concentrated flowering and long cherry maturation periods. All of these factors produce exceptional coffee frequently rewarded in the Colombia Cup of Excellence, including the 2017 first place coffee from Medina Espejo. Great and very lively red fruit tones, a bit of floral, a little hint of citrus all combining with a traditional Huila undertone (jammy, nutty and chocolaty). Great light to medium roast coffee. Lighter roasting will really promote the more floral aspects of this cup along with the red fruit and acidity. As one pushes closer to 2nd crack, the acidity mellows considerably, the body gets much larger and its more jammy bodied qualities come out with plenty of fruit tones retained. Dark roasts are a little edgy and muted. A little more challenging to roast with its higher chaff and 2-3 color shades while in the roaster. Good news, it tastes great from light to borderline dark. We would error on the lighter side rather than risk it hitting 2nd crack (besides a single pop or two). We liked it best stopped just at the end of 1st crack, which leaves a light-medium roast profile on the beans. Many will like it a bit darker with that jammy body, if that’s the case, get real close to 2nd crack or upon first pop, cool it out. 48 hour setup on this guy really help smooth it out.